Standard delivery takes from 5 to 12 business days. Expedited delivery is only available in certain countries but usually takes around 2-3 business days. You don’t offer expedited delivery for my delivery country, can I get my order any faster? 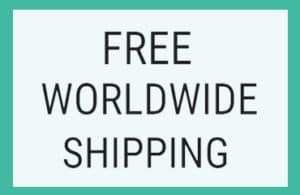 Please email us with your delivery country and we will do our best to get you an expedited shipping quote. If we are unable to get your order to you in time for your trip you could always collect your order from the airport. How do I collect my order from the airport? It is easy to collect your order from the airport. Click here for full instructions. Do you have any stores in Japan? No, we don’t have any stores – our SIM cards are only available online. I haven’t received a shipping confirmation e-mail, why not? You may have not received a shipping confirmation e-mail for a couple of reasons. This could be that the email has gone into your spam folder. Or, if your arrival date in Japan is more than a few weeks away we may be holding on to your order to ship closer to the time of your trip. Why do you ask for my arrival date in Japan? 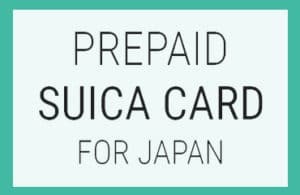 This is because Japanese SIM cards have very short expiration dates! By providing us with your arrival date in Japan, we guarantee that your SIM will be valid for your trip. We’ll ship your SIM to you a few weeks in advance of your date of travel. I don’t know my date of arrival, what do I do? If you don’t yet know your dates of travel, please email us for help. My SIM Card indicates it is valid for a certain amount of days. When does the countdown begin? The countdown begins on the date of first use. This is when you insert the SIM Card into your device and it connects to the local network. Will the SIM Card be compatible with my device? 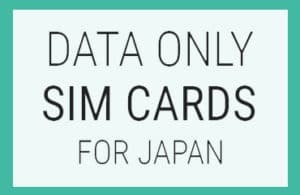 I really need a phone number in Japan, do you offer voice SIM Cards as well as data only? We only offer data SIM cards here at SIM Card Geek. However, we are powered by Mobal Communications who have the perfect voice SIM Card for Japan with a Japanese phone number. Check it out on their website here. Do you offer a money- back guarantee? Yes! Find out about our money back guarantee here.